What Have I Learned From 5 Years And 2000 Breakfast Smoothies? I’ve had smoothies for breakfast for over 5 years – this makes about 2000 smoothies. 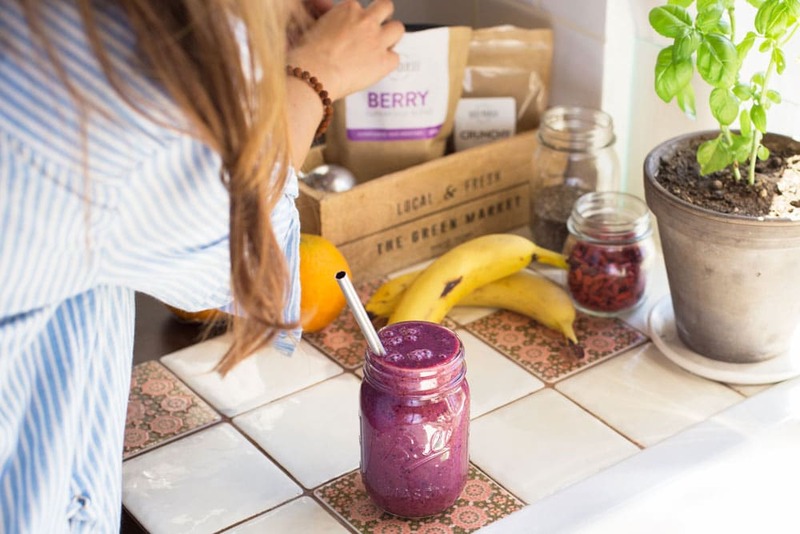 It started with simple blueberry-banana-apple smoothies, and I only knew the most common superfoods at that time – hemp seeds, chia seeds and goji berries. Five years ago I didn’t know yet that smoothies are so much more than just blueberry-banana cocktails. Smoothie seemed more like a snack or dessert to me. However, the more smoothies I drank, the more I understood that everything depends on what you put into it. Right ingredients in right quantities and combinations = complete and functional breakfast, which gives you more energy than coffee, and fills you up better than a sandwich, fried egg or cereal ever could. 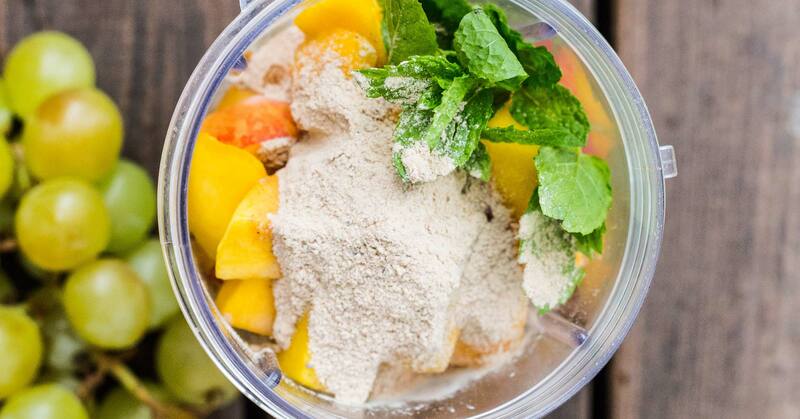 This superfood smoothie will start your engines whether you want it to or not. Add all the ingredients into a blender, blend it 1 minute and you’re done. Start your day with energizing superfood smoothie or enjoy as an afternoon booster instead of the third cup of coffee. After founding Boost Yourself, my blender has hosted over 100 different ingredients – more than my frying pan.  Fruits, vegetables, leafy greens, berries, grains, seeds, oils, mushrooms, nuts, algae’s… you name it! During those years I’ve learned, thanks to listening to my own body, that when I drink smoothies for breakfast (where all the nutrients are unprocessed and broken down), I feel so much more energetic and my stomach doesn’t feel heavy. Same reflects the customers’ feedbacks – more energy is usually the first “tangible” change. This doesn’t mean that I have cut off pasta and meat entirely. From time to time I still indulge on those, because the food is one of the most pleasurable things in this life. But a whole lot less than I used to – thanks to smoothies my menu consists of more fresh stuff. Part of the secret behind smoothie energy is that heat processing reduces nutritive value since a lot of beneficial compounds will get destroyed. For example, heat processing vegetables reduce C-, -E, -K, and some of the B vitamins level in food. Smoothie ingredients are mainly fresh, frozen, dried at low temperatures or freeze-dried. No heat processing has taken place. 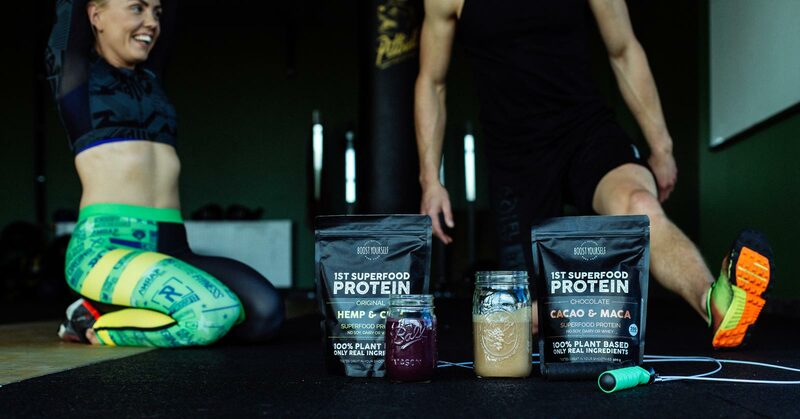 Blending the smoothie ingredients, not only maintains the nutrients, but it’s also easier for your body to absorb it (contrary to potatoes and meat). Thanks to the versatile nutritive value of smoothies – proteins, fiber, vitamins, and minerals, you’ll have more energy to conquer the world. If digesting fried meat takes up to 5 hours, then digesting smoothie takes only 30-45 minutes, but the latter fills you with energy for 4-5 hours. Digesting pork takes so much time because it uses more energy than it gives. There was a time when I always felt tired after my meal. It seemed normal at that time because I didn’t think of food as fuel, which is supposed to give you energy. I just ate to keep my stomach full. Although, if you give your body the right “fuel”, you’ll start noticing some pretty big changes. Today, smoothie gives me more energy than I would have ever expected. Food is your body’s fuel. Without fuel, your body wants to shut down. When my breakfast consisted sandwich and a coffee, then I didn’t put much thought on it. I didn’t think about of food as an energy source or fuel for my body and I had nothing to compare it with. But now I see the difference, particularly on days I have to step out of my routine for a while. 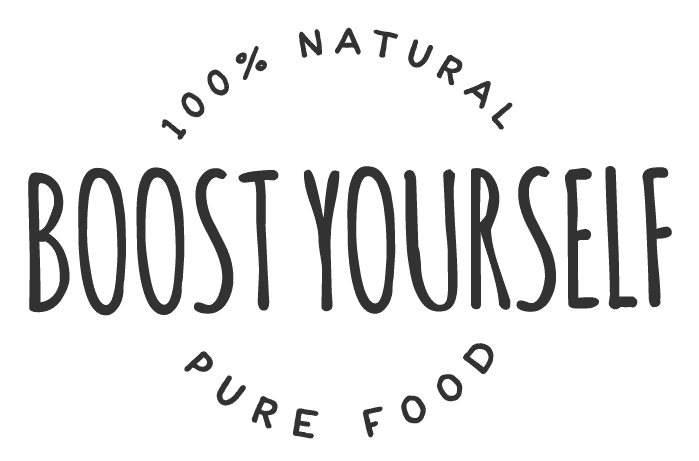 My journey started five years ago and today through Boost Yourself we can spread the message about the right nutrition and how to make better choices for your health. Quick and easy – with only 3 minutes you’ll have a nutritious and healthy breakfast. Ingredients are easy to store – fresh fruits and berries in the fridge, and powdered versions of superfoods on the shelf. Easy to digest and your body can absorb the nutrients in smoothie more easily because blending helps break down hard-to-digest plant cell walls. Your body doesn’t have to waste energy on digesting but can concentrate on energy production. Practical – you can prepare your smoothie the night before and take it with you to school/work/workout the next morning. Breakfast that is: ready in 3 minutes; healthy; highly nutritious; doesn’t use up your energy but increases it instead. Also, if you want, you could take it with you… is it something you would be willing to try? When you feel that you need a change, and you want to give breakfast smoothies a go, I’ll recommend you to set yourself an actionable goal – one smoothie every day for 7 or 14 days a row. Find this 5 minutes of your day and commit to doing it.